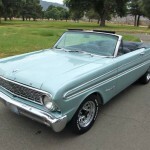 After three successful years on the market, Ford gave the Falcon a face lift for 1964. The new look squared off the edges of last year’s Falcon. The design was crisp and modern for the time. 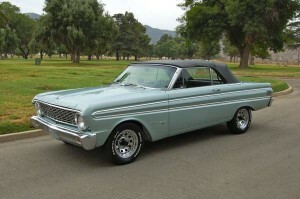 The new Falcon would serve as the basis for the Ford Mustang introduced later in 1964 and the 1967 Mercury Cougar. 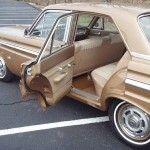 With the new model, Ford also added a Sprint Package for the Falcon. 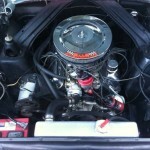 The Sprint Package gave the Falcon a 260 cubic inch V8, a stiffer suspension, and a re-tuned exhaust. 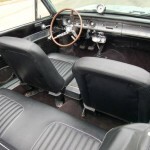 However, the when the Mustang hit the market, it had the same options that the Sprint package and negated the need for the Falcon Sprint. 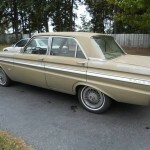 Ford added a 289 cubic inch V8 engine option to the Sprint later in 1964. 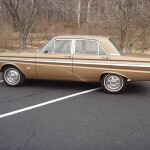 But the Sprint would be discontinued when the 1966 Falcons were introduced. 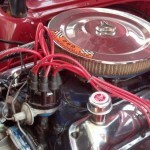 The Falcon had a coil spring front suspension that was pivot-mounted on upper arms with a double-acting absorbor. 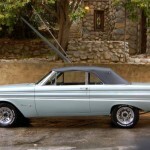 The 6-cylinder Falcons had 13″ steel wheels with 4 lug wheels while the V-8 Falcons 5 lug wheels. 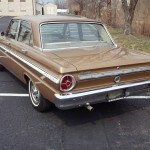 Ford made few changes to the Falcon for 1965. 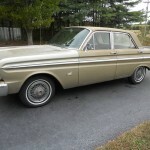 The Falcon received a simpler grille, revised side trim on deluxe models and a the three-speed Cruise-O-Matic automatic transmission was available. 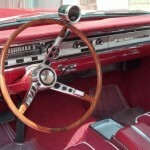 Front seat-belts were now standard. 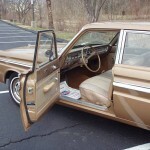 A padded instrument panel, power steering, power brakes, a radio, a remote-control trunk release and a parking brake warning light were optional. 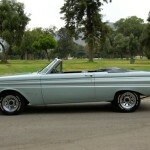 This would be the last year for the Falcon convertible, with production ending on June 26, 1965. 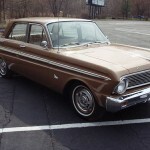 The Falcon was right for the time for Ford. 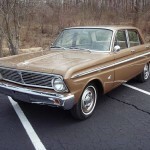 However, when Ford introduced the Mustang, the Falcon took a hit. 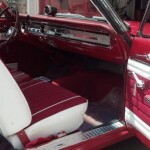 And changes in safety regulations and market tastes would ultimately cause Ford to cancel the Falcon in 1970. 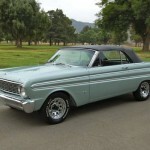 However, Ford would introduce a third generation Falcon in 1966 that would survive until 1970. 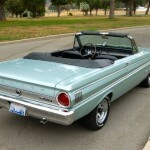 For more information about the Falcon, see our post on the 1960-1963 Ford Falcon. 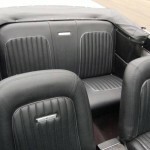 For more on the Mustang, see our post on the 1964 1/2 – 1966 Ford Mustang or the 1967-1973 Ford Mustang. 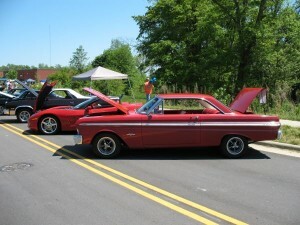 To find your own Classic Car or to sell your car, see the listings in Classics for Sale. 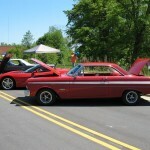 This entry was posted in Falcon, Ford and tagged 289, Cougar, Falcon Sprint, mustang, Pony Car. Bookmark the permalink.